Paris is the capital of France, and is an important center of finance, culture, art, fashion and commerce. 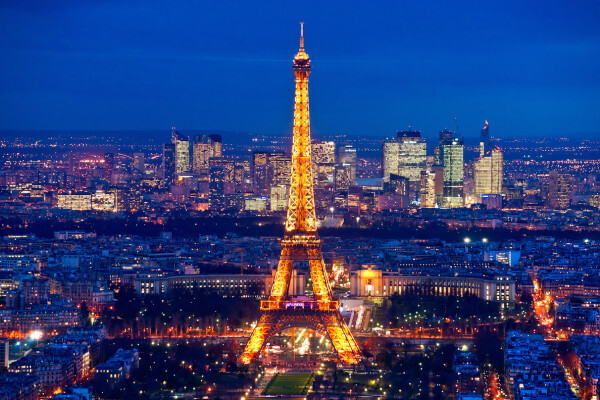 Paris is the headquarters for 30 of the Fortune Global 500 companies in the world. It is also home to The Louvre, the most well-known museum in the world, as well as the famed Eiffel Tower, the Bastille, and other attractions too numerous to mention. The city attracts artists from around the world, and to see and experience everything that is available, one would have to move there for a year or two. If time is at a premium, you will want to map out your trip carefully to make sure you see everything you want while you’re there. Paris has been famous for its restaurants since the 18th century, and is truly a world-class city when it comes to cuisine. Whether you are looking for a classical dining experience, such as can be found at L’Ambroisie or just looking to spend the afternoon at a quiet little out-of-the-way café, or a bistro where you can dine with the locals, Paris has what you are looking for, in abundance.